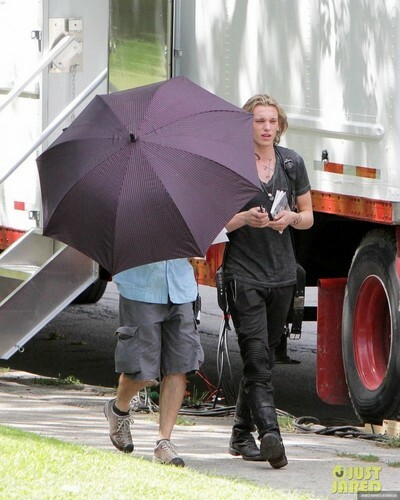 On the set of 'The Mortal Instruments: City of Bones' (August 20, 2012). On the set of 'The Mortal Instruments: City of Bones' (August 20, 2012). HD Wallpaper and background images in the Jamie Campbell Bower club tagged: the mortal instruments city of bones movie on set jamie campbell bower jace wayland. This Jamie Campbell Bower photo might contain 遮阳伞 and 遮阳.